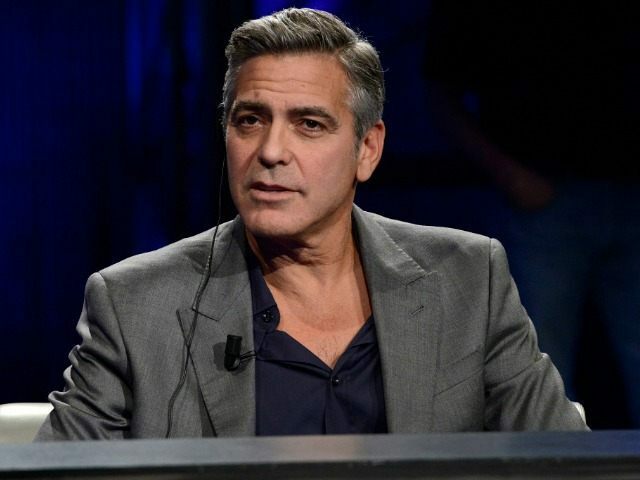 Hollywood actor George Clooney described GOP frontrunner Donald Trump as “idiotic” and “intolerant” during an interview at the Toronto International Film Festival this weekend. According to Us Weekly, during a TIFF press conference for the upcoming film Our Brand Is Crisis on Saturday, which Clooney produced, the star was asked about Trump’s position on illegal immigration. During his June presidential announcement, Trump ignited a firestorm when he said, “The U.S. has become a dumping ground for everybody else’s problems,” and the United States has no idea what kind of people might be coming across the border. Clooney came under fire in July, when he sought to install security cameras around the property of one of his expensive European homes, in order to keep unwanted guests away. Neighbors complained the added security measures jeopardized the privacy of the neighborhood. Lake Como, Italy also has special fines in place, specifically for Clooney, which are designed to keep out of towners from entering his private property.